Your life is busy. Between family commitments and work obligations, you do not have the time for multiple dental appointments or lengthy treatments. At Independence Family Dentistry, we understand that your time is valuable. Dr. Danny Nakhla strives to bring his patients convenient, high-quality services to accommodate your schedule. As part of his mission, he offers same-day crowns with CEREC in Independence. Now, you do not need a temporary one or a second appointment to receive your dental restoration. In just one day, you will walk out with a natural-looking crown while benefiting from uncompromised results. Using the traditional approach, the process to receive a dental crown is rather lengthy and somewhat uncomfortable. 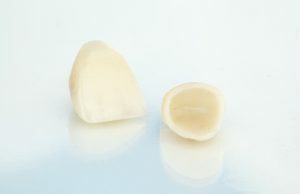 After your tooth is prepared, an impression material is used to create the restoration. While it is effective, it tastes poorly and is uncomfortable because you must hold it in your mouth for several minutes. Not to mention, it is not always accurate, so it may not meet your exact specifications the first time. While you wait for an off-site lab to create the crown, you will have a temporary crown placed. After the crown is sent back to the dental office, you will come in for a second appointment to have it bonded to your tooth. While this approach is effective, it does come with various hassles and disadvantages. CEREC resolves all these issues to deliver precise, high-quality results in only one day. With CEREC technology, your tooth is prepared and then digital impressions are taken without needing to use an impression material. The 3D scans are of the highest quality, allowing Dr. Nakhla to see every detail of the tooth to create your custom-made restoration. This removes any room for error to eliminate time-consuming delays. The images are sent to our CAD/CAM software for Dr. Nakhla to specify your crown’s requirements. It will match your exact size and shape needs for a true fit. In addition, its color will be customized to match the enamel of your natural teeth so it will blend in seamlessly with your smile. After the specifics have been developed, the information is sent to the in-office milling machine. The crown is cut from a single block of ceramic material in about an hour. Then, Dr. Nakhla will bond it to your tooth so you can walk out with a healthy, beautiful smile. There is no need to come in for a second appointment because a temporary crown is not needed. Although it is created in just one appointment, rest assured that it is of the highest quality. It will look natural while being strong and durable to last for several years with the right care. If you have been putting your dental treatment on hold because of time constraints, now you can get the crown you need in just one day. At Independence Family Dentistry, Dr. Nakhla will restore the health and appearance of your tooth with the best technological advancements. Contact our office today to schedule your consultation for CEREC dental crowns in Independence. At the Independence, KY office of Dr. Danny Nakhla, we know your dental experiences begin before you enter the treatment room! Expect our friendly, knowledgeable team to treat you with respect and courtesy. We work with you to create personalized treatment plans to ensure your smile is healthy, functional, and gorgeous! At Independence Family Dentistry, we create beautiful smiles for life! At the dental practice of Dr. Danny Nakhla, we offer restorative, cosmetic, and family dentistry to patients in Independence and surrounding communities. Please request your appointment at Independence Family Dentistry today!